Islamic mutual funds presently represent one of the fastest growing sectors within the Islamic financial industry. As Shari`ah supervision is an integral part of the industry, its place in relation to Islamic mutual funds is certainly no less important. My intention in this paper is to discuss in a general way the variety of functions performed by Shari`ah supervision and their importance. 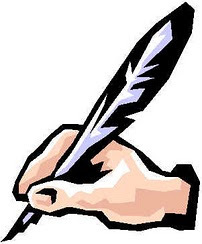 In doing so, I will make observations about the industry and suggestions for a better future. It is a matter of concern that a significant number of managed Islamic equity funds function without Shari`ah supervision of any sort. In fact, according to the data available on the ninety or so Islamic mutual funds, less than one half actually retain their own Shariah supervisory boards.1 This is an alarming circumstance which, for the reasons that will be discussed in this paper, needs to be remedied. Ideally, if management is slow to address the issue, then the remedy will come from the investors themselves. In fact, as Muslim investors grow in numbers and sophistication, they expect more from the professionals who manage their money. Then, in terms of performance, always the bottom line, and in terms of customer service, and in terms of Shari`ah compliance, Muslims have already begun to expect more and more from their funds. In terms of Shari`ah supervision, a great deal can be expected. Particularly now, with the opening of the retail markets to middle class Muslim investors, Islamic mutual funds find themselves if not in direct competition, then at least subject to direct comparison, with the host of conventional mutual funds available to consumers. Today, funds offer all manner of services to investors, from virtual office space on their websites, to real time performance updates, to regular reports, to the ability to customize a portfolio by using a pin number and selecting new fund options online or over an automated phone systerm! In short, the mutual fund industry has progressed from its beginnings as almost a closed sort of country club operation that catered to a financial elite, to its present service-oriented state that is driven by competition. Our new generation of Islamic equity funds is a part of this market, and certainly subject to many of the trends that move it. It is for this reason that, by way of example, the Azzad / Dow Jones Islamic Index Fund offers its investors a host of online facilities, in addition to regular reports by management, independent auditors, and a Shari`ah Supervisory Board. Then, with standards of service, accountability and transparency rising to keep pace with the market, and with sophistication and expectations on the rise among Islamic investors, Islamic funds which fail to upgrade will certainly be bested by funds that succeed in doing so. Moreover, when retail Islamic funds begin to offer so much to their clients, investors in the other Islamic funds, institutions and high net worth individuals will not fail to take notice and, ultimately, either move their assets or insist that management take measures to give them more value for their money. Another way that an Islamic fund may ensure Shari`ah supervision without retaining the services of a Shari`ah Supervisory Board is for it to appoint a Shari`ah scholar to the fund's Board of Trustees. Then the scholar may either chair a subcommittee or work alone to supervise the fund for Shari`ah compliance and oversee the other Shari`ahrelated matters. Thus, while the ideal situation will always be for a fund to retain the services of a full Shari`ah Supervisory Board, with three or more members, there are other ways of accomplishing the requisite Shari`ah supervision. In this context, however, I would like to point out a serious misunderstanding that appears to have been repeated by a number of different Islamic mutual funds; though very likely with the best of intentions. This misunderstanding is based on the assumption that a fund licensed by an index provider with a Shari`ah Supervisory Board of its own will not require Shari`ah supervision of any sort; not in the form of a board, and not in the form of a single supervisor. Writing in a recent issue of New Horizon, a Muslim financial professional observed, The arrival of the Dow Jones Islamic Market Index is seen as a cure all for banking houses who wish to broaden their success in placing equity funds with wealthy Muslims. The requirement, however, that they must still contract a Shari`ah Board of their own to supervise their own behavior does not appear to be widely understood. Obviously, an Islamic mutual fund will become a licensee to an index provider with its own Shari`ah Supervisory Board for the reason that the fund wants assurance for its investors that its choice of stocks will be Shari`ah compliant. However, there is a great deal more to Shari`ah supervision than the review of stock choices from a Shari`ah perspective. Then, even if the fund is licensed to an index like the Dow Jones Islamic Market Index, it will still require Shari`ah supervision and advice. In this paper, I shall attempt to explain why this is so by examining a number of different areas in which the participation of a Shari`ah scholar is essential.4 I will also speak of the need for the proactive involvement in fund affairs by its Shariah supervisor(s). Finally, I will make some recommendations on the future of Shari`ah supervision that I believe will add value to every Islamic mutual fund. It is of primary importance to understand Shari`ah supervision as consumer advocacy. By taking every possible step to ensure that an Islamic mutual fund represents a halal investment for Muslims, the services performed by Shari`ah supervisors are directed toward the investor. Undoubtedly, as a result of these efforts, the fund and its management will also benefit. But the primary beneficiary is the Muslim investor who can rest assured that his/her money is being put to use in ways that accord with the teachings of Islam and its message for all of humankind. So, while the functions of a Shari`ah supervisor may be compared to those of an independent financial auditor, in the sense that regulatory compliance is ensured, there is a further and far more vital aspect to the role of a Shari`ah supervisor. By assuming responsibility for the Shari`ah compliance of a fund, including its components and its management, the Shari`ah supervisor places himself in a position of directly representing the religious interests of the investor. In discussing the different aspects of Shari`ah supervision, it will become clear that a Shari`ah supervisor functions in many different ways as a consumer advocate with both religious and fiduciary responsibilities. By performing these functions the Shari`ah Supervisor adds significant value to the fund(s) with which he works. It has already been stated that there is far more to the Shari'ah supervision of an Islamic mutual fund than the screening and selection of equities. Let us now examine some of the different Shari`ah supervisory functions that are inseparable from the success of an Islamic mutual fund. One of the most important of these functions has to do with purification which, as I have carefully explained in my internet-based (at dju.com) course on the Principles of Islamic Investing, actually takes place at two different levels: at a fiscal level and at a moral level. It should not be necessary to explain that Zakah and purification are two entirely different, though not unrelated, matters. After all, the literal meaning of Zakah, which will be discussed later in this paper, is purification. But the purification intended for discussion here is the cleansing of an investment portfolio of impure elements. Many Muslims are familiar with the practice of "purifying" their checking accounts, for example, by simply donating the amounts listed as "interest earned" to charity. Thus, our concern from a Shari`ah perspective is with amounts of money earned by the corporations in which our Islamic mutual fund has invested; money earned by means deemed unacceptable by Shari`ah principles and teachings. Such "impure" earnings must be quantified and then purified. Of course, the assumption here is that these are stocks that have cleared the various screens for Shari`ah compliance. Thus, the sources of such income might include non-operating income from interest-bearing investments, or earnings from prohibited business activities that are beyond the scope of a company's primary business. Oftentimes, such earnings will result from corporate diversification and new acquisitions. Whatever their source, the fact remains that even Shari`ah-compliant equities will often yield small percentages of income that is considered impure by Shari`ah standards, and which must then be purified. The responsibility of the Shari`ah supervisor in this regard is to ensure that all such income is calculated by the fund, and that a corresponding percentage is deducted from the earnings, passed on to investors through the dividends, thereby ensuring that these are free of impurities and completely halal.5 The methodologies for calculation may differ from fund to fund, or from one Shari`ah Supervisory Board to another, where scholars, for whatever reasons, have preferences in the matter. This, however, is of secondary importance. Of primary importance is that the fund is actually commited to, and regularly engaged in, such purification. On behalf of the investor, then, it is the Shari`ah supervisor who will ensure that purification takes place, and that it takes place in a manner that accords with Islamic law. The tangible results of such fiscal purification are that amounts of money begin to pile up. Generally speaking, it is recommended that funds sweep these amounts into separate accounts. With the advice and counsel of the fund's Sharia`ah Supervisory Board, these amounts may be distributed among suitable charities, or a charitable fund may be established for the purpose; again, under the supervision of the Shari`ah scholars. Of course, it is certainly possible that the matter of purification be left entirely to the individual investor. 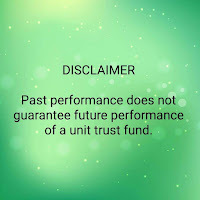 Nonetheless, when we are speaking of adding value to a fund, it is clear that the fund's performance of this function will relieve the investor of the responsibility, and the considerable time and effort required to perform it. In fact, it is clear that this is a service that is much more effectively performed by the fund itself, particularly when the calculation process, including the collection of relevant data, is not a simple matter for those not equipped to undertake it. The second half of the purification equation is what I term moral purification, and I consider it no less important than the fiscal purification of earnings. When speaking of fiscal purification, the thing that comes immediately to mind is that we are dealing with an amount of money that has been earned by means we find unacceptable, and is therefore in need of purification. So, in our haste to put aside the offending percentage, we often overlook our moral and religious responsibility in the matter. This responsibility is perhaps best understood in the context of the Qur'anic concept of "enjoining the right and prohibiting what is wrong." Now the ways to discharge this particular responsibility are varied. But modern corporate democracy has provided Muslim investors with every opportunity to share with management our views and sentiments with regard to corporate practice and policy. By law, in fact, publicly owned corporations are required to hold annual meetings for their shareholders, and these provide opportunities for Muslim investors, or for the Shari`ah supervisors who look after their interests, to voice their concerns to management as vocally and as directly as they feel necessary. Of course, it is impractical to suppose that Shariah supervisors will attend every annual meeting of every holding in the fund's portfolio. But it is still possible to participate in the process of corporate governance by means of proxies and absentee ballots. It is likewise possible, at any time, for shareholders to raise issues with management, and to initiate positive change, by means of corporate shareholder resolutions. When a fund with substantial holdings brings up an issue, management will surely listen. In an Islamic fund's strategy of proactive engagement with companies, the participation of Shari`ah scholars is essential. It is essential, in the first place, to ensure that the fund is concerned with moral purification on behalf of its investors. And it is essential, thereafter, to ensure that issues of importance to Muslims, from an Islamic perspective, are represented accurately and effectively to the management of major corporations. As Islamic mutual funds grow larger, and begin to hold larger and larger blocks of shares, the attention we receive from corporations will grow proportionately. It is of all the more importance, then, that we represent our way of life in the best and most effective manner possible. Undoubtedly, one of the most important functions of a Shariah Supervisory Board is its scrutiny of equities for compliance with established, Shari`ah-based criteria. Much has been written on this subject in recent years, and much more remains to be written.7 For the purposes of this paper, however, suffice it to say that if an Islamic fund is not licensed to an Islamic index with a full Shari`ah Supervisory Board, then it will undoubtedly require the services of a Shari`ah Supervisory Board to oversee its choice of investments. Such choices cannot be made on the basis of software, or by simply applying the published criteria of another fund, or index. So, when an Islamic equity fund is licensed to such an index, it may at least rest assured that the stocks it invests in will accord with the guidelines for prudent Islamic investing. Even so, and I continue to explain why, it will still require Shari`ah supervision. While I will not repeat here what has now become common knowledge in regard to the Shari`ah screening of equities, I will take this opportunity to say that beyond the quantitative screening of securities is the highly subjective matter of ethics, and what is socially responsible. Again, from the perspective of enjoining the good and prohibiting what is wrong, I believe that it is the responsibility of Shari`ah Supervisory Boards to work on these issues, even after a fund has licensed to an investable universe through an index. Muslim investors, with our spiritual, cultural, and family ties to what is politely termed the third world, are more intimately concerned with, and sensitive to, the practices and policies of multinationals. A company's ethics, unlike its primary business and capital structure, are highly subjective and not easily quantified. In considering issues of this nature, it is important that the fund's Shari`ah Supervisory Board works closely with management on policies and guidelines that will adequately cover these issues. Islamic investing has much in common with the modern forms of investing known as ethical investing, socially responsible investing, faith investing, and green investing. Each of these investment sectors, or subsectors, has much of value to contribute; and each has something in common with the teachings of Islam. It is therefore important for Shari`ah Supervisory Boards to keep abreast of what is happening in these areas. The internet is an excellent tool for the purpose of research into these forms of investing, the organizations that support and implement their principles, and the issues that concern them. 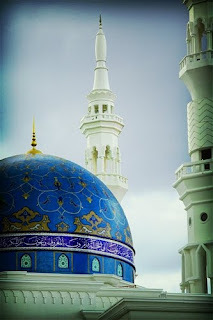 Perhaps the most encouraging thing for Muslim investors to note about the funds that have grown up around these concepts is that they have been very successful, and that they are the fastest growing sector on the market.8 Given the affinities shared by these groups and Muslim investors, it is important that Islamic funds begin to build bridges. In this effort, the participation of Shari`ah Supervisory Boards will be all important. Beyond selecting stocks is the equally important task of monitoring stocks. In the business world, there is very little that remains the same. A company with non-operating interest income at less than five percent for the present quarter, may show earnings in excess of fifteen percent for the next. Obviously, vigilance is required in these matters to ensure that all of the fund's holdings remain within the limits of the prescribed Shari`ah filters. Again, when a fund is licensed to an index, information of this nature will be passed on by the index provider as a matter of course. In such cases, the responsibility of the Shari`ah supervisor will be to verify the removal of the security from the fund's portfolio. In the case, however, that the fund is not licensed or otherwise positioned to receive such information, even more vigilance is required. Fund management will generally assign this responsibility to their portfolio managers or research analysts. My own experience to date with portfolio managers is that they are very diligent about these matters. Even so, it is the responsibility of Shari`ah supervisors to ensure that this sort of vigilance is maintained. Very recently, specialized software has been developed that allows management, and Shariah supervisors, to track portfolios with ease. Such software, when connected to the internet, will also provide real time access to portfolios, as well as a host of third party information. To my knowledge, very few Islamic funds have actually provided their Shari`ah Supervisory Boards with this sort of access. Here again, though, the funds that do so will have a competitive edge.9 In the future, Allah willing, every Islamic fund will have this facility. In fact, work is underway on even more sophisticated software. By the time this paper is actually delivered at the 4th Annual Forum, I expect that the beta versions will be up and running. In the final analysis, however, no matter how powerful the search engine or how seamless the links in the software, the expertise of Shari`ah supervisors will be required to make the final call. The software will identify the problem, the Shari`ah Supervisory Board will solve it. The Shari`ah supervisory function includes vigilance in relation to the management of the Islamic equity fund as well. One of the most important issues in this regard is the fund's cash-to-assets ratio. Fund or portfolio managers may keep a large cash portion on hand if, for example, they are bearish on the market, or if they are unable to find attractive securities to buy, or, in the case of an index fund, if they are temporarily unable to purchase the stocks needed to match the index. 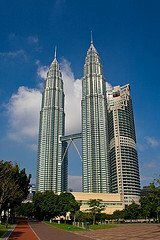 Of course, the reason for the concern of the Shari`ah Supervisory Board under these circumstances is the possibility that idle cash will lead to interest. Likewise, Shari`ah Supervisory Boards must be especially vigilant when, owing to adverse market conditions, management decides to assume temporary defensive positions. These may occur as the result of political, economic, or a host of other reasons. The important thing, however, is that the Board ensure that the strategy does not include recourse to the conventional, knee jerk strategies of moving into high quality, short term securities and money market instruments, or commercial or agency paper, or T-bills, or CDs. At such times, it will be best for management to convene a meeting of the Shari`ah Supervisory Board, or at least to confer with the members either individually or by whatever other means, for the purpose of discussing to what lengths the fund may go. Obviously, when such situations occur, it is the expertise of the portfolio managers and analysts that will determine the defensive strategy. It is the Shari`ah Supervisory Board, however, that will determine whether or not that strategy is a lawful one from a Shari`ah perspective. Another thing that Shari`ah supervision will watch for is the purchase of equities on margin. While managers are aware that such purchases are not permitted, oftentimes their brokers are not. It is for this reason that Shari`ah supervisors must be on guard for these sorts of seemingly innocent mistakes. In monitoring management, as in monitoring the portfolio, the use of software is particularly helpful. Obviously, this is the trend of the future. In mentioning this, I direct my remarks to both the management of Islamic equity funds and to the members of the various Shari`ah Supervisory Boards. In the future, I expect that a further qualification for Shari`ah Supervisory Board members will be computer literacy. As a sort of a footnote to this section, I might mention another matter I believe to be of consequence. Everyone recognizes the need for a working relationship between the members of the Shari`ah Supervisory Board and the management of the fund. What people often fail to realize, however, is that relationships between the Board and the portfolio managers, the brokers, the accountants, and the auditors are equally important. When the fund management is openly Muslim, and makes its preferences and practices known to those with whom they work (portfolio managers, brokers, analysts, etc. ), there is clearly less likelihood on the part of those colleagues of lapses leading to non-compliance with Shari`ah precepts. Even so, the possibility remains. And when fund management is non-Muslim, the likelihood is greater. Thus, in both cases, it is important to establish relationships between these business associates and the Shari`ah Supervisory Board. Perhaps the best way to accomplish this is to simply introduce the members of the Shari`ah Supervisory Board to the business colleagues of the fund. A short face to face meeting for the purpose of getting acquainted is all that is required. Thereafter, if any issues arise, these may be discussed in a manner befitting professionals who have actually made each other's acquaintance and share a genuine interest in the success of the fund. Such face to face meetings can easily be scheduled around an annual meeting of the Shari`ah Supervisory Board, for example, and may even take place at a lunch or a dinner. In this regard, I might share an example from my own experience. When our Shari`ah Supervisory Board decided that a certain fund needed to liquidate its position in a certain stock, the decision was passed by management to its broker and the stocks were sold. Moreover, the accountants were instructed to sweep the profits from dividends and capital gains into the fund's charitable account. In a matter of days, the fund's auditors contacted management to question the liquidation of such a lucrative equity, and the justification for separating its earnings. At the request of management, I spoke on the phone with the auditor and we agreed that I should subsequently inform his firm in writing of the action we had requested, and the reasons for it. Thus, a potentially confusing and time-consuming situation was taken care of in a simple and straightforward manner. And the reason that it went as smoothly as it did is that a relationship of collegiality had been established, so that there was nothing awkward or hesitant about the exchanges which took place between us. Similar relationships have led to my receiving tips from portfolio managers concerning the peripheral involvement in prohibited business on the part of certain firms whose stock was held by funds that I supervise. Certainly, from the perspective of the individual investor, one of the most important of all the different functions performed by a Shari`ah Supervisory Board is its ensuring that the consumer is made aware of the fund's fees and how these are structured. Here again, the Shari`ah Supervisory Board finds itself in the role of consumer advocate. While there is generally no formal channel for communication (other than quarterly or annual reports) between the Board and those who invest in the Islamic fund, the responsibility in this regard is not so much consumer education as it is a matter of the Board's satisfying itself of two essential matters. Firstly, that the fee structure is a reasonable one and, secondly, that the fees are clearly stated in the fund's literature and otherwise communicated without ambiguity to investors. As the market for Islamic mutual funds grows, investment professionals (and even conventional brokers) will become familiar with the various offerings, and will explain all of the nuances and differences between them to their clients. At the present time, however, most Muslim investors approach Islamic funds directly, and purely on the basis of their understanding that the product offered is halal and will yield halal results only. Under such circumstances, it is very important that Islamic funds clearly state their fees,11 especially when the middle class Muslim investor may be less inclined to be meticulous on the matter. Then, while I am confident that there is no real danger of unscrupulous practices on the part of funds, my real concern is that investors fully understand what sorts of fees they are expected to pay. For example, even here in the US, where the regulatory atmosphere is so strict, the annual expense ratio, or annual fee does not appear on the client statements of most conventional funds. As a result most consumers are not even aware of it. So, if someone invests in a no-load fund, and then sees no mention of fees on their client statements, they might very well suppose that they are paying nothing to their funds. Even aside from the annual fees and the different sorts of loads, funds will generally charge fees for a number of other services. For example, investors who move money between funds in the same family of funds (from a growth to an income fund, for example) may generally do so without any additional load. There may, however, be a fee for doing so, as well as a tax liability. It should be the responsibility of the Islamic fund to provide investors with a clear picture of their responsibilities in these instances. Such a schedule of fees, if you will, should also include information on breakpoints or volume discounts, on the investors' rights of accumulation, on surrender fees (contingent deferred sales charges), on the facilities accorded by the fund for letters of intent (including the terms of retroactive collection in the event that the LOI is not fulfilled), and on special items like performance incentives and thresholds. 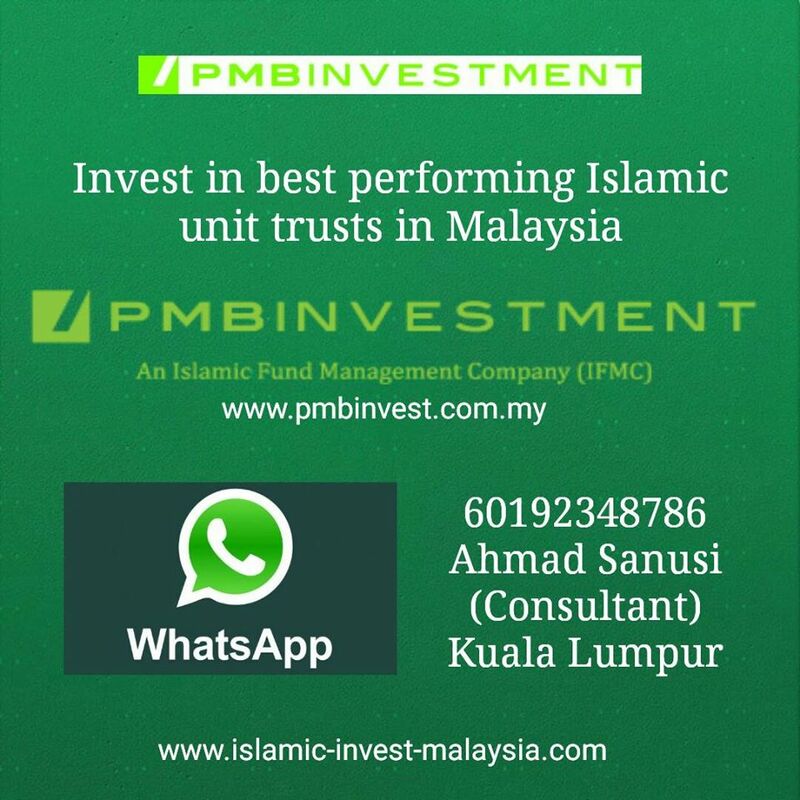 The concern of the Shari`ah Supervisory Board in these matters is simply that the investor be apprised of factors that may be of significance to him/her when investing Islamically. By looking out for the interests of the consumer in this manner, the Shari`ah Supervisory Board is actually adding value to the fund. This is because when all the fees are carefully spelled out for investors, there is far less chance of unpleasant surprises and the resulting ill will that might be generated by even the simplest of misunderstandings. In today's service-oriented markets, this should be more than obvious. Perhaps more than monitoring, this function of a Shari`ah Supervisory Board is actually one of assisting management in the preparation of filings for regulatory agencies like the Securities and Exchange Commission, subscription agreements, private placement memorandums, fund prospectuses, and the like. Obviously, in the preparation of such documentation references will have to be made to the Shari`ah and its interpretations. For this reason, it is essential that the expertise of Shari`ah scholars be accomodated. It is clearly of inestimable importance that the documents which define the Islamic mutual fund and the ways it works be in complete consonance with Shari`ah precepts. The only way to ensure this is to have the Shari`ah Supervisory Board involved in the drafting and review of all pertinent legal and business documentation. In fact, I will go one step further and suggest that Shari`ah supervision is extended to include marketing materials, like brochures, advertisements, websites, and even multimedia presentations. In all of these, reference of one sort or another is sure to be made to the Shari`ah and the Islamic nature of the fund. In order to ensure that all such references are made correctly, especially in view of the fact that these will be made public, the involvement of the Shari`ah Supervisory Board is essential. As academics, the members of Shari`ah Supervisory Boards will naturally keep abreast of scholarship in their respective fields and specializations. As professionals, it is equally essential that we remain informed of developments in the industry we supervise. In order to comprehend the issues fully, the sorts of issues that require the attention of the Shari`ah Supervisory Boards, it is important to understand them in the broader context of the marketplace in general. From this perspective, the attention brought to bear on the issues by the Board will certainly be more pertinent; with the result that the Board's decisions will be more informed and ultimately of more value to the investor. This is not to say that Shari`ah Supervisory Boards should tell management how to run their business. Rather, what I mean to say is that a Board that is sensitive to the business environment is an effective Board. In order to maintain this edge, Shari`ah Supervisory Board members need to understand the stock market and its various indicators. They also need to be able to use the tools that will allow them to follow the stock market and the factors that influence it. Thus, at the level of fund and sector performance, the Dow Jones Islamic Market Indexes and the Financial Times\TII Indices are indispensable tools. Specialized websites like Failaka.com, IslamiQ.com, and Muslim-investor.com are important sources of information about the Islamic investing sector, as are a handful of specialized publications like New Horizon, The Islamic Banker, and others. Finally, at the level of the mutual fund industry in general, the sources of information are seemingly limitless, whether in print, online, or over the airwaves. Finally, academic and professional forums, such as this one, may have much to contribute to this important aspect of Shari`ah Supervision. While the issue of product development is more commonly associated with Islamic banks, there is nonetheless a certain amount of scope for it in Islamic mutual funds as well. With the goal of mitigating risk through portfolio diversification, an Islamic fund might consider turning to markets other than the stock market, or to target other asset classes, like REITs. Or the fund may want to do something different as a part of a defensive strategy for a bearish market, or as a way to manage short term liquidity. Whatever the case, there will be a clear need for the expert advice and assistance of the Shari`ah Supervisory Board. The assumption might easily be made that if Islamic mutual funds are active in purification, then they should surely be doing something about Zakah. This, however, is not the case. The matter of Zakah is complicated by any number of factors that lie outside the control of Islamic funds (and, for that matter, Islamic banks and other financial institutions as well). Since these factors are particular to the circumstances of each investor, the matter of Zakah is best left to the investors themselves. In this regard, I will simply refer to the fatwa of the Islamic Bank of Jordan, which effectively explains the reasons why the matter of Zakah should be left to the individual Muslim investor or depositor. Even when the matter is left to the individual, the fund may consider requesting its Shari`ah Supervisory Board to prepare guidelines for the calculation of Zakah on profits earned through investments in funds. These guidelines might then be published in brochure form and mailed to investors, or posted on the fund's web page as an extra service to its investors. As there is still a considerable amount of debate on the details of Zakah to be paid on such investments, the attention to the matter on the part of Shari`ah Supervisory Boards may indeed help in bringing about a needed consensus on several outstanding issues. Finally, one of the most important functions of a Shari`ah Supervisory Board is to prepare reports on the status of the fund it supervises. Such reports are best issued quarterly and should address issues of Shari`ah-compliance in the portfolio, and on the part of management. Likewise, the reports should keep investors informed of the purification process and the charitable ways in which purification money has been put to use by the fund. Other issues of relevance to the supervision of the fund might also be mentioned in the reports, like the new software that enables the Board to easily monitor the fund's portfolios, or to screen stocks for Shari`ah-compliance, and so on. In addition, the Board may use the reports to communicate the ways in which it is addressing issues related to socially responsible investing and the business ethics and practices of corporations. Finally, as the goal of these reports is to promote transparency and full disclosure, they should always be prepared in a straightforward manner. If shortcomings have occurred, these must be mentioned; and the steps taken to remedy the situation as well. Throughout this paper, I have alluded to what the future might bring. All such references, I believe, have been made with with a degree of optimism. No one doubts that there is a sizeable, and as yet untapped, market for Islamic financial products and services, especially in the United States and Europe, and in Muslim majority countries with prosperous middle classes. When I consider this market, I see a religious community that is in many ways just as comfortable, and at ease, with the modern world as it is with its own Islamic heritage. The politics of the modern world have provided haven, and its economics have provided comfort. At the same time, Muslims are inextricably tied to Islam. My concern, as an advocate for this community, is that we receive the value that we deserve. Not only that we get what we pay for. But that the tenets of our religion are respected; not only in the sense of compliance, but in the sense of honor and esteem as well. It will not be out of place, in our discussion of the future of Shari`ah Supervisory Boards, to mention here the need for impartiality and independence. In the same way that independent auditors are brought in to review the finances of a business, Shari`ah Supervisory Boards review compliance to Shari`ah precepts. Independent audits are understood as ways to gain and maintain the trust of investors and consumers. Independent Shari`ah supervision is the best way to gain and maintain the trust of Muslim investors and consumers. The call goes out, from time to time, for the establishment of a central, or a unified Shari`ah Supervisory Board that could look after the interests of every Islamic bank or financial institution. Just as often the call is ignored. (Though, admittedly, an attempt was made in the eighties to establish such a central board, but for Islamic banks only.) My thinking on the subject, and I hope that this is clear from the contents of this paper, is that it is simply impossible for a centralized board to effectively perform all of the tasks required for the Shari`ah supervision of each and every Islamic financial institution. In the early 1980s, when there was only a handful of such institutions, such a notion may have seemed reasonable. But today, when Islamic mutual funds alone number nearly one hundred, the notion is highly impractical. Not only that, but as the Islamic financial sector looks at ways to provide Shari`ahcompliant financial services to retail consumers, there is an increasing need for specialization among Shari`ah supervisory professionals. Takaful operations, for example, while based on many of the same principles, are nonetheless quite different from banking operations. The operations of commercial banks differ considerably from those of thrifts and investment banks. I expect that in the future we will come to see more specialized Shari`ah supervision, or supervision geared toward specific sectors within the Islamic finance industry as it grows in size and sophistication. Under these circumstances there is no practical future for a single, central Shari`ah Supervisory Board. To ensure that Shari`ah Supervisory Boards remain current, however, it may be preferable to have a professional organization, an industry association if you will, that sets standards for everything of importance to Islamic mutual funds. Such an association might therefore be inclusive of standards and practices for Shari`ah Boards, Islamic funds, and fund management as well. Such an industry association might also look after the interests of membership, and promote understanding and exchange through publications and regular forums. It could also establish relationships with relevant academic, commerical, and professional bodies The industry appears to have matured to the point where such an association would be of great value to everyone involved in Islamic funds. From the perspective of a consumer advocate, I will strongly recommend the timely establishment of such an industry association.